Schiphol's new General Aviation terminal opened its door on 1 July 2011 and is located next to the landing strip for private and business jets in the heart of the business park in the historic section of Schiphol Oost. The multifunctional offices, the Summum Lounge and the striking architectural design make this building unique. General Aviation (GA) is the international term for private and business flights on planes holding up to 19 passengers. Schiphol Oost handles some 4,500 business jets annually. The terminal is multifunctional: it has passenger processing rooms, meeting rooms and offices. User friendliness and hospitality are central to the design. The building was developed in a sustainable way. As a result, there are sensors for both lighting and ventilation, extra insulation in the outer walls, low-temperature heating, daylight sensors to control the lighting and various other energy-saving features. The General Aviation Terminal has a spectacular architectural design. The terminal's façade is made of silver tinted panels and a great deal of glass. On the platform side, the whole building is adorned with a magenta coloured canopy 12 metres long. The new terminal's interior is modern and fits the ambience of the building: efficient, welcoming, innovative and at the same time stylish and sustainable. 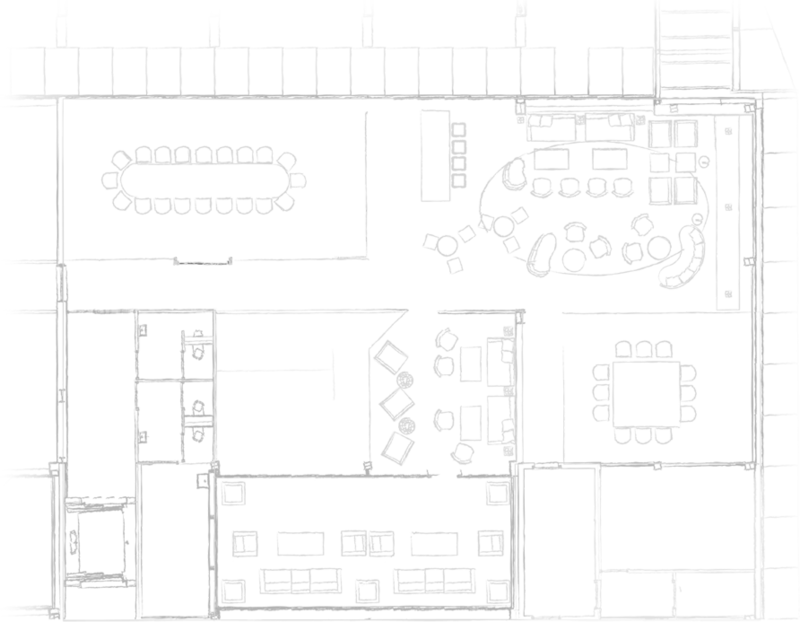 Take a look at the map of the Summum Lounge.